You know a 6yo kid means business when they use “I am” instead of “I’m” when they’re saying something. We were impressed. I’d just complimented him on what a good LEGO builder he was and he turned his head solemnly and dropped these profound words like a static-y toy mic. He’s now building sets all on his own. And not the kind of “on his own” where it kinda sorta resembles something vaguely like what’s on the box, but actually correctly. Sure, he’s also quick to dismantle and recreate them into constructs of his own imagining. 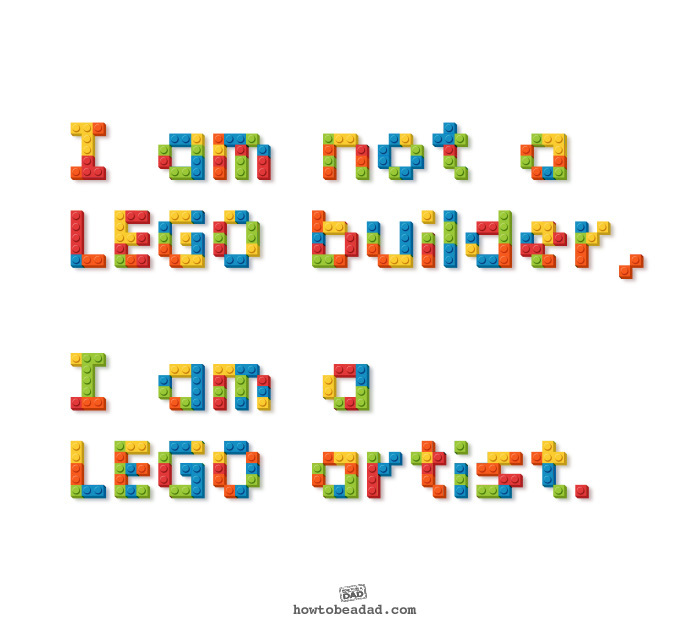 Hence his status as a LEGO artist. I love it. Even if some of his LEGO art is a little on the Picasso side. Getting asked the same question over and over and over is annoying. Even when it’s the parent asking. Follow us on Facebook. We’re Facebook artists.